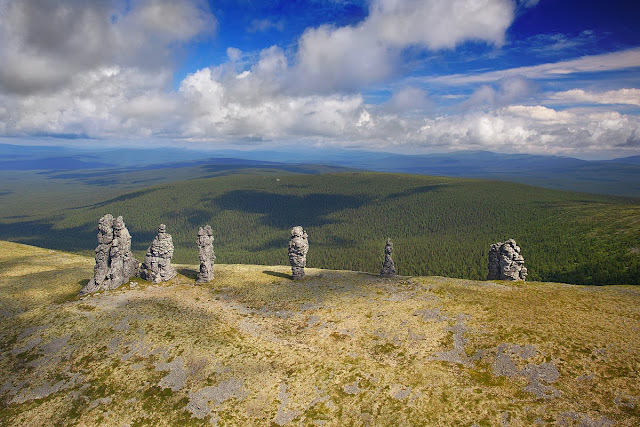 The Manpupuner rock formations are seven massive rock formations located in the Northern Ural mountains of Russia. These monoliths are around 30 to 42 m high and jut out of a hilly plateau formed through the weathering effects of ice and winds. The Manpupuner Formations, also known as the Seven Strong Men, are more or less unknown outside of Russia. 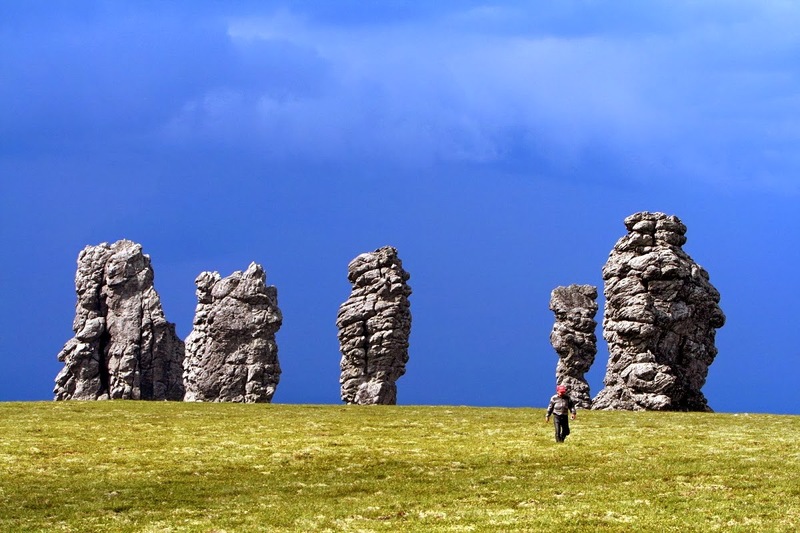 Akin to the Easter Island giants, the seven formations are mysterious, starkly contrasting their plateau environment. Likely some sort of karst formation, the rocks feel like the remnants of some long lost civilization. Locally, the Seven Strong Men have adopted a legendary status, especially considering their location just a hair below the Arctic Circle. Adding to their legend are reports of a feeling of contentedness when visiting the towers. According to some visitors, all desires seem to float away during a visit to the area and local lore claims that spirits gathered in the area during ancient times. Aside from trying to understand these bizarre monuments, visitors looking for a greater challenge can attempt to climb the Strong Men. Most sources report that reaching the top of the Manpupuner Formations is essentially impossible considering their shape and texture and a number of expert climbers have failed in their face.